It is hard to believe it is almost three years since I met a handful of women in a bookstore and began with them the Women's Writing Circle. 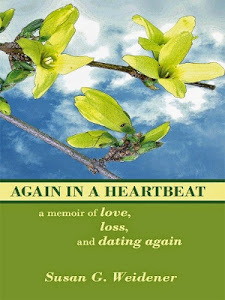 As chronicled on this blog, it has been an amazing journey of grace. A diverse group of women took a risk to spend a Saturday morning and offer their writing, their hearts, and the details of their life. Throughout this time, I try never to forget the spiritual nature of this work and of the Circle; a container which provides a safe haven for us to break the silence and find our voices as women and as writers. We guide and mentor each other through our pain, our loss, our desire to create . . . and find in that a shift of perspective and an enlargement of our sense of self. With exquisite grace, women tell their stories, transform and illuminate. To quote Anais Nin: "We write to taste life twice, in the moment, and in retrospection." Some writing groups of late have forgotten that they were conceived to bring women together through readings, critique, fast writes or writing prompts. Instead, the emphasis has become top heavy with weekend events and fairs skewed toward finding literary agents, or learning how to wend your way through the labyrinth of traditional versus self-publishing options. 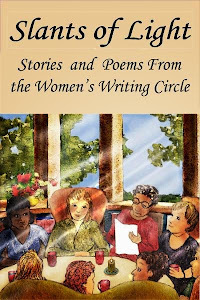 While this is of keen interest to many writers, the Women's Writing Circle is a community; a place to take that risk . . . that leap of faith onto the blank page. We find, too, in the Circle, the fun and the joy of meeting new people and making new friends. 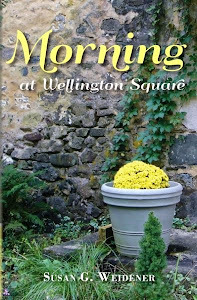 Last weekend I celebrated the debut of my new memoir, Morning at Wellington Square. I held a reading and book signing at that same bookstore where this journey began; the store, by no coincidence, is named Wellington Square. As much as the personal accomplishment that a new book represents, I wanted the signing to be a celebration of the women who have come and shared so generously their hearts and stories these last three years. I invited them to read their work . . . and the "signing" became a read-around - more than an apt reminder, it seemed to me, of the spirituality of this work. As each woman finds her voice, there is a ripple effect. Her voice encourages another voice and another and another . . . 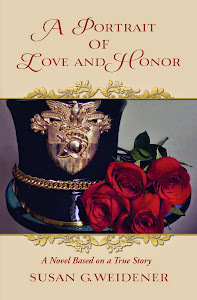 So I share here with you, dear women of the Circle and blog visitors, last Saturday's celebration. Join us on Saturday, October 13 for our monthly read-around. Susan, Thank you for bringing The Women's Writing Circle even more alive on the page through this lovely tribute and photo gallery. In the midst of all the chaos of today's publishing environment, it seems like a haven where stories are shared and honored so that true voices can emerge.